The Rev. Clement Thibodeau disappeared in mid-July, and his car and body were found over the weekend. The state medical examiner’s office has confirmed that the body found near Upper Pistol Lake, south of Springfield, over the weekend was that of the Rev. Clement Thibodeau, a retired priest who had been missing since mid-July, according to a statement Tuesday evening from the Maine Department Inland Fisheries & Wildlife. A Facebook group run by the priest’s family confirmed earlier in the day that Thibodeau had died. According to the Facebook post on Oct. 3, his remains were released and taken back to his hometown, Caribou. A funeral will be held next Tuesday. “The manner of death was deemed not suspicious,” the department’s news release said. 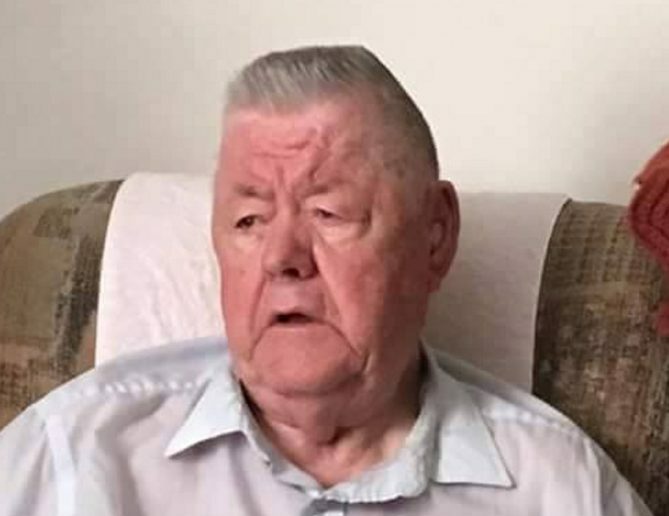 Thibodeau, 85, who disappeared July 15 from a restaurant in Caribou, was last seen driving a gray 2013 Chevrolet Equinox. On Saturday, that vehicle was found by a man clearing trails near the lake. The car was stuck on a remote, unimproved road, and game wardens found Thibodeau’s body near the car. His remains were identified positively Tuesday, after an autopsy on Monday. Multiple searches were conducted for Thibodeau, though the heavily wooded canopy in that rural part of the state made the search increasingly difficult. The last trace of him came from a cellphone signal on July 18. Thibodeau was a pastor from June 30, 1981, to June 30, 1987, at Notre Dame Parish in Waterville, according to the Roman Catholic Diocese of Portland. He was pastor from July 1, 1987, to June 30, 1994, at St. Mary Parish in Bangor. He had retired to Caribou in 2001 and was no longer active in the ministry. According to the diocese, Thibodeau was born in Connor in 1932 and graduated from St. Francis College in Biddeford. After that, he studied theology at Le Grand Seminaire de Saint-Sulpice, in Montreal. He was ordained to the priesthood in 1958 in Portland. A Silver Alert, typically issued for missing elderly people with Alzheimer’s disease, dementia or some other form of mental disability, was put out about Thibodeau on July 21. The diocese did not know whether Thibodeau suffered from any health problems, though family members had said he was beginning to show signs of confusion. Game wardens suspended a full-scale formal search for Thibodeau in early August but continued investigating. An Orono-based group called the Down East Emergency Medicine Institute continued searching with volunteers after the formal search was suspended. An earlier posting on the Facebook page said Thibodeau’s car was on an “unimproved trail that was very difficult to pass,” and that even a truck with four-wheel drive would have had difficulty getting through the area. After Thibodeau’s ordination, his first assignment was as assistant pastor at Cathedral of the Immaculate Conception Parish. He was named assistant pastor at Notre Dame Parish in Springvale, where he remained until he was assigned as chaplain at Notre Dame Institute in Alfred and instructor at St. Ignatius High School in Sanford in 1966. He taught at St. Ignatius for 17 years. In 1969, he was named spiritual director for St. Louis High School in Biddeford and remained chaplain for multiple local schools. In 1970, he was assigned to Rome for special studies. He returned in 1971 and served as assistant pastor at St. Mary Parish in Lewiston, Newman chaplain at both Bates College in Lewiston and Nasson College in Springvale, coordinator of the Diocesan Pastoral Council, and temporary administrator for St. Agatha Parish in St. Agatha. In 1975, he was named pastor of St. Mary Parish in Eagle Lake. In 1976 he was appointed coordinator of the Continuing Education of Clergy program. In 1981, Thibodeau was named pastor of Notre Dame Parish in Waterville, where he would serve until 1987. Then he was assigned as pastor of St. Mary Parish in Bangor, where he oversaw the completion of the parish center. In 1994, he was named pastor of St. Joseph Parish in Gardiner. He retired from active ministry in 2001 and lived in Caribou. Thibodeau served on the College of Consultors to the bishop, the Council of Priests and as a vicar forane, or a dean. He was active as a chaplain for the Knights of Columbus. According to the Diocese, Bishop Robert Deeley will be the main celebrant at Thibodeau’s funeral Mass, which is scheduled for 10 a.m. at the Holy Rosary Catholic Church in Caribou.